Neil founded Ridge Physical Therapy in 1981 with his wife Cathy. He has over 40 years experience as a practitioner, hospital administrator and educator. He is a founding member of the American Physical Therapy Association Brooklyn-Staten Island District and the College of Staten Island P.T. program. His area of interest is in the care of patients with orthopedic conditions. Over the years he has taught at many of the local physical therapy programs as adjunct assistant professor. He serves on several charitable boards offering scholarships to needy college students. He is a graduate of the New York University P.T. program. 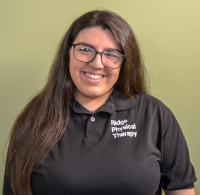 Daniella actually started at Ridge Physical Therapy as an aide in high school! She went on to earn her clinical doctorate degree from Long Island University and is the proud mother of three boys. She has vast experience in homecare and outpatient P.T. 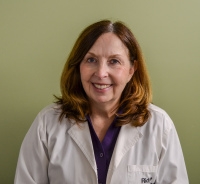 Rose joined the practice in 1999 and is dedicated to making your experience comfortable and timely. She assists the licensed physical therapists in providing superior care. Rose is tri-lingual an assists in all translations of Italian and Spanish. 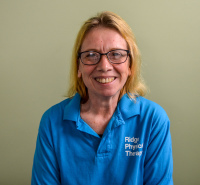 Cathy has successfully operated Ridge Physical Therapy for over 40 years. She is also a consulting physical therapist at Calvary Hospital at their NYU Brooklyn campus. Cathy is well known in the physical therapy community as an expert on reimbursement issues and is a long time advocate for patient access to P.T. care. Cathy has attended numerous continuing education seminars keeping current on the latest advances in clinical practice. She is a graduate of the New York University P.T. program. Elizabeth is the other half of the physical therapist Anastasio Twins. 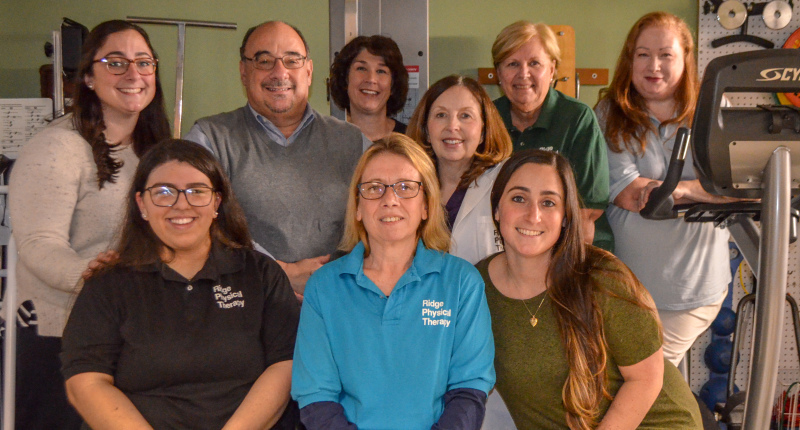 She practices full time at Northwell Health’s Staten Island University Hospital North as a Senior Therapist in the outpatient department. 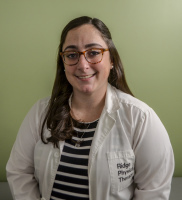 Liz earned her clinical doctorate from City University of New York (College of Staten Island) and has great experience in acute care, orthopedic and neurological physical therapy. 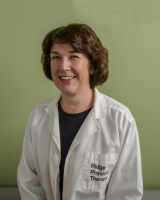 Gail has been at Ridge Physical Therapy since 2016 and receives all calls, verifies insurances and appointments. With her friendly smile and caring attitude, she is our front desk ‘minister of welcome”. 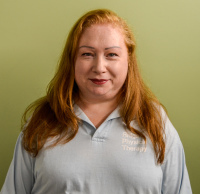 Tricia is the second generation of Anastasio Physical Therapists. 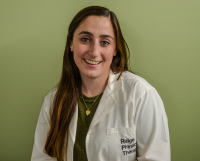 She holds a clinical doctorate from the City University of New York (College of Staten Island) and has an interest in pediatrics, cancer rehab, and orthopedics. Her diverse practice experience includes Trinitas Regional Medical Center, Calvary Hospital NYU Brooklyn campus, Robert Wood Johnson Barnabas Health Jersey City Medical Center. Mary joined the staff in 1995 and has worn many hats in the practice. She is currently the Office Manager and supervises the reception and billing functions of the office. She has extensive experience in billing and medical coding. Mary is a graduate of Paul Smith’s college. Joanna is an aspiring speech pathologist currently studying at Brooklyn College. She assists during evening hours.